Dr. Jack Gallant, Professor of Psychology and Vision Science at UC Berkeley, will give a special seminar titled "Mapping, modeling, and Decoding the Human Brain". One important goal of Psychology and Neuroscience is to understand the brain mechanisms mediating natural behavior. However, this is a challenging problem because natural behavior often involves many different perceptual, motor and cognitive systems distributed broadly across the brain. My laboratory has developed a new approach to functional brain mapping that recovers detailed information about the cortical maps mediating natural behavior. This approach provides a powerful method for mapping the representation of many different perceptual and cognitive processes across the human brain and for decoding brain activity. 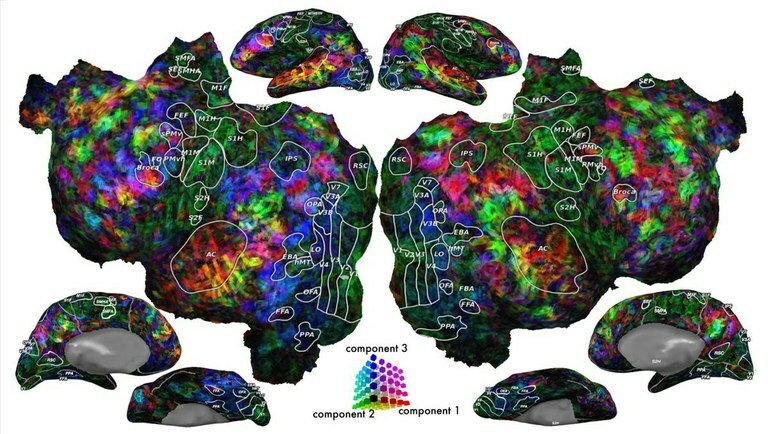 The results from various studies based on this approach show that even simple natural behaviors involve dozens or hundreds of distinct functional gradients and areas; that these are organized similarly in the brains of different individuals; and that top-down mechanisms such as attention can change these maps on a very short time scale. Jack Gallant is Chancellor's Professor of Psychology at the University of California at Berkeley. He is affiliated with the graduate programs in Bioengineering, Biophysics, Computer Science, Neuroscience and Vision Science. He received his Ph.D. from Yale University and did post-doctoral work at the California Institute of Technology and Washington University Medical School. His research program focuses on computational modeling of human brain activity. Further information about ongoing work, links to talks and papers and links to an online interactive brain viewer can be found at the lab web page: <http://gallantlab.org>.